Carol Moellers took the photos that are in The Quilt Show’s SmileBox presentation from the American Quilter’s Society Des Moines, Iowa, Show, in October 2010. 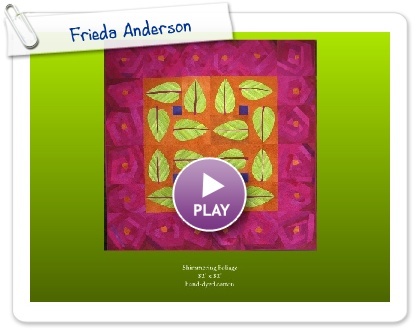 The Alzheimer’s Art Quilt Initiative is offering 1,000 quilts for sale at the International Quilt Festival, Houston, Texas, November 3 – 7, 2010. The money raised from the sale will be used for Alzheimer’s research. 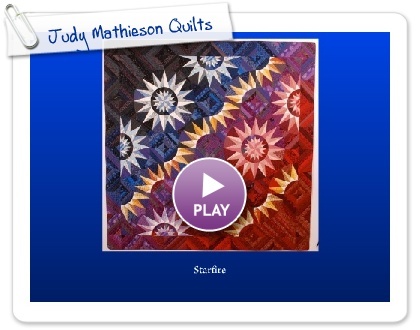 You can see this YouTube of some of the quilts that are available. 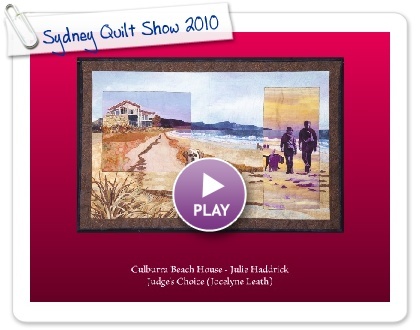 The Quilt Guild of New South Wales held their 2010 “Sydney Quilt Show” in Australia this year. I acquired her piece, “Jack in the Pulpit” from the SAQA auction. Part 3 of the Auction Starts Today! You are currently viewing the archives for October, 2010 at Woodhaven Studio's Weblog.